recipient: Jeff Bezos, founder/CEO, Amazon, Inc.
With a fortune of over $105 billion, Amazon founder and CEO Jeff Bezos has been heralded as "the richest man in the world," thanks to the wild success of Amazon. Yet, while Bezos' bank account continues to grow, many of the people who actually work for the company struggle to make ends meet. According to a report by Policy Matters Ohio, 1,430 Amazon employees or family members in Ohio were getting federal aid under the Supplemental Nutrition Assistance Program (SNAP). While the report was specific to Ohio, there's been no shortage of evidence that Amazon employees nationwide face dismal working conditions, and that many don't receive a living wage. Unfortunately, Jeff Bezos is clearly out of touch with the reality his workers live in. 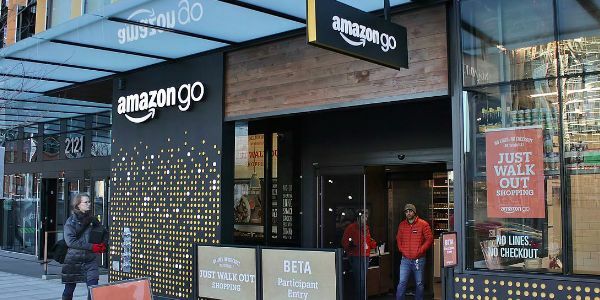 The newly-launched, brick-and-mortar grocery store, Amazon Go, does not accept SNAP benefits. Please sign this petition demanding that Amazon Go start accepting SNAP now. By not accepting SNAP, Amazon Go is sending a clear message about who is allowed to shop there and who is not. It's discriminatory, especially since Bezos is making bank while many employees remain underpaid. Stand with Amazon workers by signing this petition demanding that Amazon Go start accepting SNAP benefits immediately!